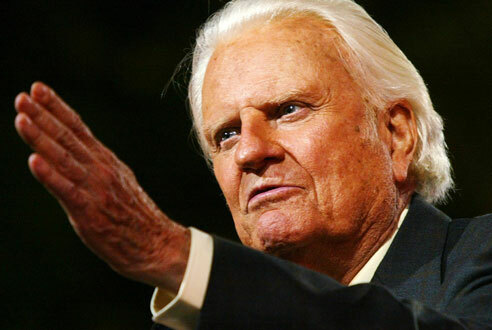 The internationally known evangelist Billy Graham turned 90 today. His ministry has affected many, including me. From a very early age, I remember hearing the gospel presented on his televised crusades. I may disagree with Billy Graham from time to time, but his steadfast proclamation of the gospel message and faithfulness to God is admirable, and I praise God for using him so mightily to touch many, many lives. That man has lived in a constant study and proclamation of the Bible. May all of us called to gospel ministry be so faithful. Adrian Warnock has compiled a round-up list of news and blog posts related to Billy Graham’s birthday.